These Forevermark earrings are from The Center of My Universe collection. The cushion cut center stones are framed with pave diamonds supported by a diamond dotted band. 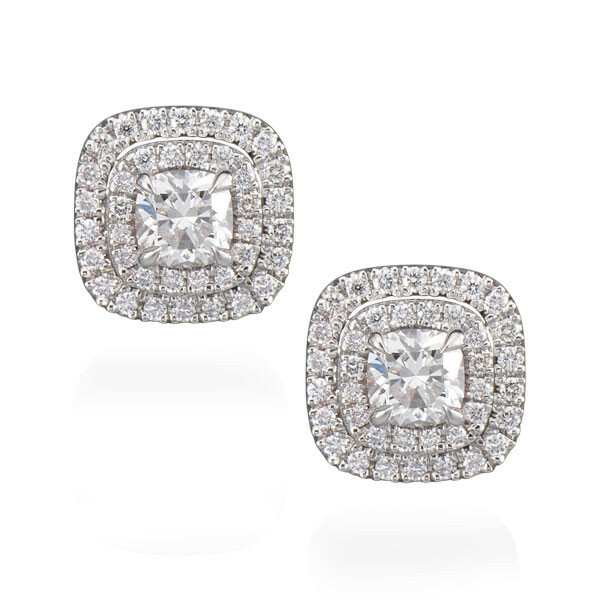 These studs show that diamonds are forever when you purchase something as special as these Forevermark earrings!